Welcome to the Bricklin International Owners Club Website! Bricklin International was formed in 1976 to bring together Bricklin enthusiasts around the world. Bricklin International is dedicated to the preservation of the SV1 and produces a quarterly newsmagazine, website, forum chat room and sponsors two national Bricklin meets per year. The Brickline is the Bricklin International news magazine that is sent out to membership on a quarterly basis. It covers technical aspects of the SV1, new products, concourse judging, technical tips and members stories concerning the SV1. It is a wonderful magazine and has won the Golden Quill award for automotive excellence four years in a row. 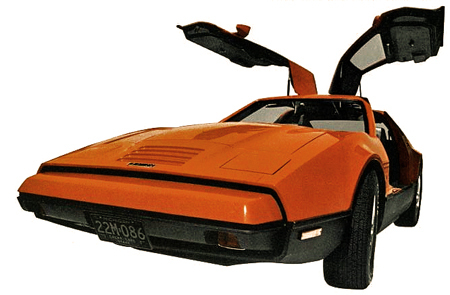 Ownership of a Bricklin SV1 is not a prerequisite to join the club. We have quite a few members that are just enthusiastic SV1 admirers! Supporting the club is a way to gain a unique access to the world of the SV1. This access includes Bricklin classified ads, parts, and club know-how to keep the SV1 on the road. If you are not a member; Join today!